We have a range of high-standard rooms which are well-equipped, available to hire on a daily/long-term basis for delivering training, hosting meetings to book your corporate events in etc. Does your plant training card require renewing, or to be updated from Trained to Competent Operator status?. 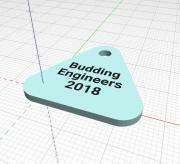 Budding Engineers - Certificate of School Engagement for Inspiration by DYW North East Scotland. Budding Engineers are delighted to have received certification for Developing the Young Workforce, with a Certificate of School Engagement for Inspiration by DYW North East Scotland. At present, I am considering the idea of running a summer CAD School, this idea would depend on firstly any student interest in the Caithness County. So many people think that CAD is all about engineering, well it's not, if you wish to design your ideas for doing your embroidery then you can, if you would like to design your own jewellery then you can, if you wish to design your own house then you can. Pulteneytown People's Project is contracted to deliver The Employability Fund Programme for Skills Development Scotland (SDS). The purpose of the programme is to prepare people for employment or further training opportunities in their chosen work interest area, by supporting them to improve their knowledge and basic skills required for their chosen sector. The programme focuses on work-based knowledge, skills and experience to be gained both within our training centre and on work placements, with any relevant training needs being addressed as per each participant’s individual training plan. MUT, WATERSPORTS, WICK ARE DELIGHTED TO ANNOUNCE THAT WE ARE NOW A SERVICE POINT FOR SEA SAFE. THEY OFFER A SERVICE AND CERTIFICATION FOR ANY LIFEJACKETS THAT ARE FOR COMMERCIAL USE. Keeping employee training at the forefront ensures things DON'T go with a BANG!!! November, a month where it's commonplace to hear the cracks, whistles and bangs of fireworks. Great fun at the time, but a Health & Safety nightmare! For businesses such noises, at any time of year, can herald major problems, so it is vital to ensure your employees are fully up-to-date with their training. First course being run in Wick Wednesday 30th April 2014 This is a one day course and it covers all the usual first aid subjects, but from a boating perspective. It is aimed at anyone who goes afloat, whether on inland waters, rivers or at sea. At today�s Caithness and Sutherland Area Committee members awarded Pulteneytown People�s project �90,506 from the Deprived Area Fund which will be used to provide services to local people through the Advice Centre. This will be used to support the work of the one-stop shop to provide local people help and advice with benefits, staying on at school, re-training, housing issues and applying for jobs. A GROUP of Caithnessians recently had the opportunity to get to grips with the world of undersea robotics. The short training programme was delivered by Wick-based specialist subsea training company Mackay Underwater Technology Limited.